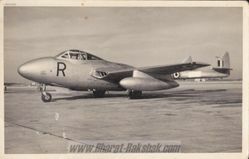 Vampire NF.54 [ID603] is pictured banking here. 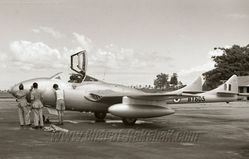 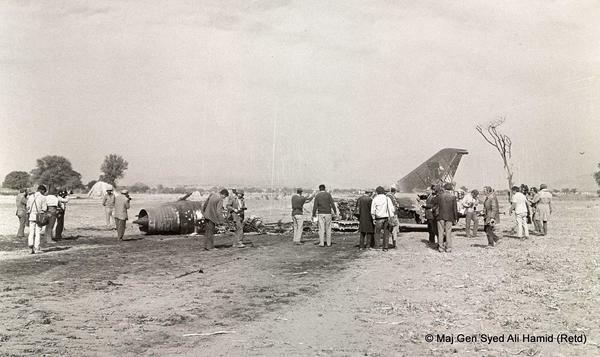 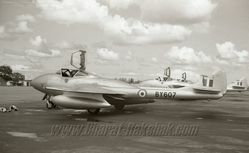 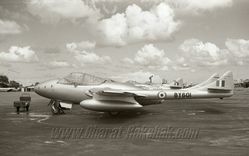 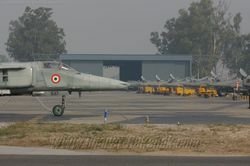 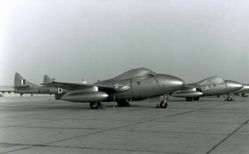 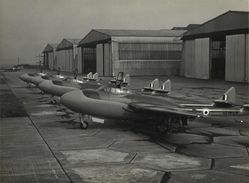 This Vampire (IY470) T Mk.55 parked at Palam AFS, is from the first batch of four aircraft (IY467-470) , to arrive in India in early 1954. 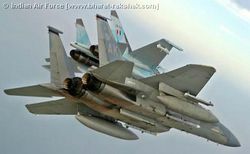 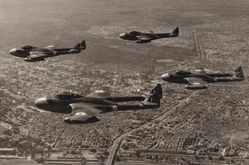 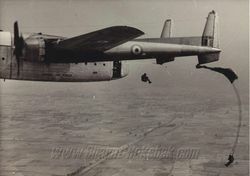 Vampire Night Fighters in a formation over Delhi. 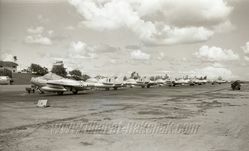 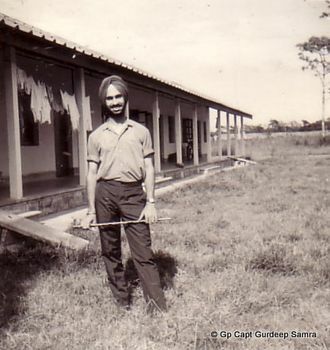 This photograph is from the pre 1963 period.